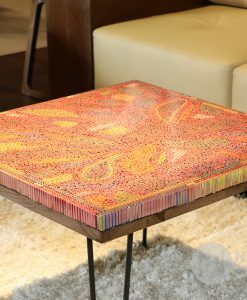 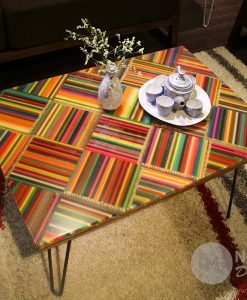 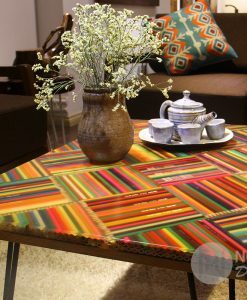 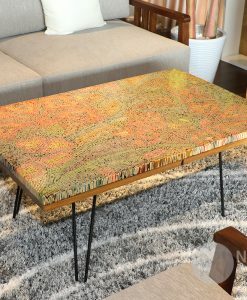 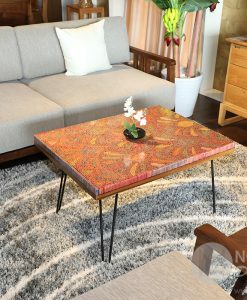 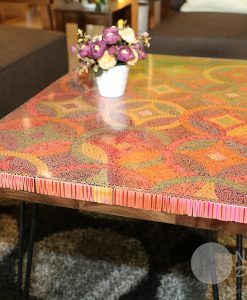 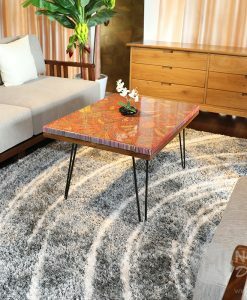 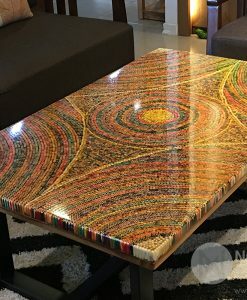 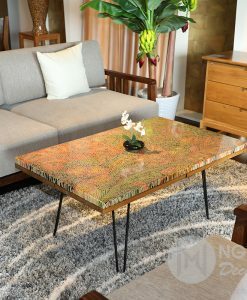 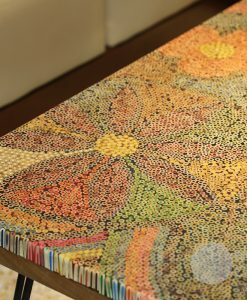 9,296 is the number of pieces of colored pencils that were used to build the Spring Buds Colored Pencil Coffee Table – one of the luxurious coffee tables by the excellent handicraftsmen of Nguyen Moc Décor. 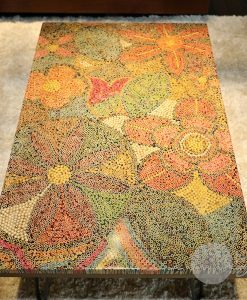 Spring is always the countless inspiration for the artists because of its abundant vitality. 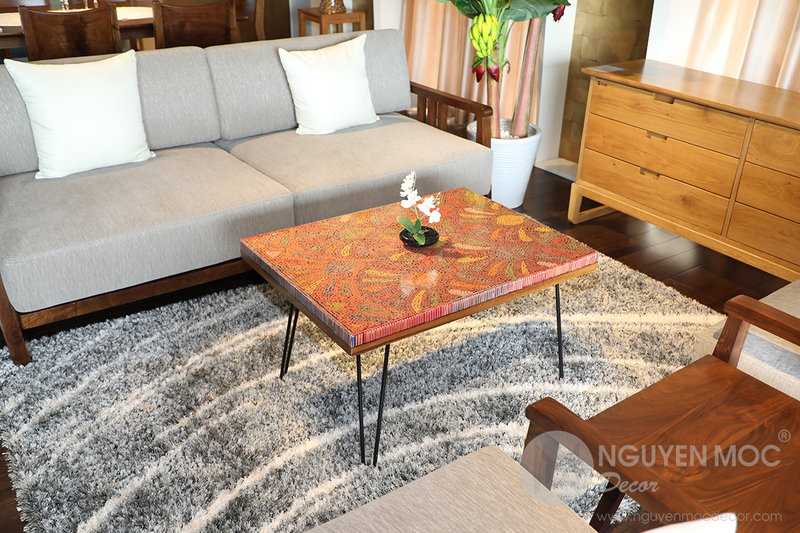 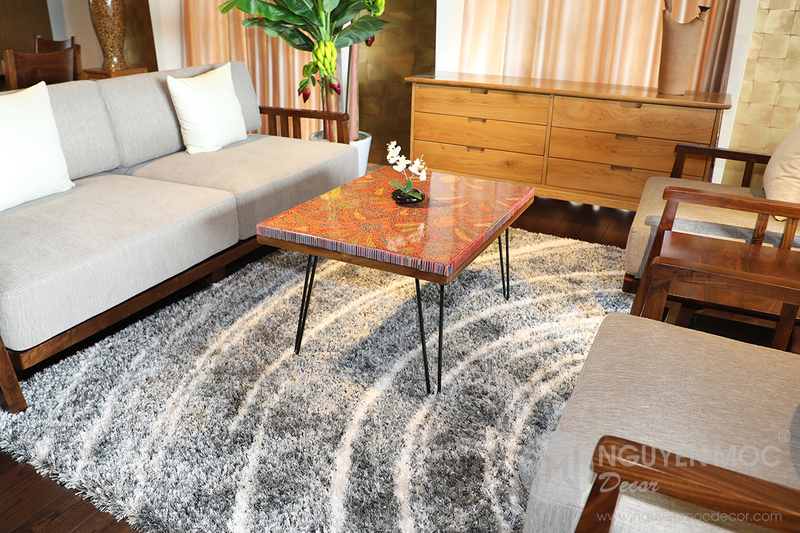 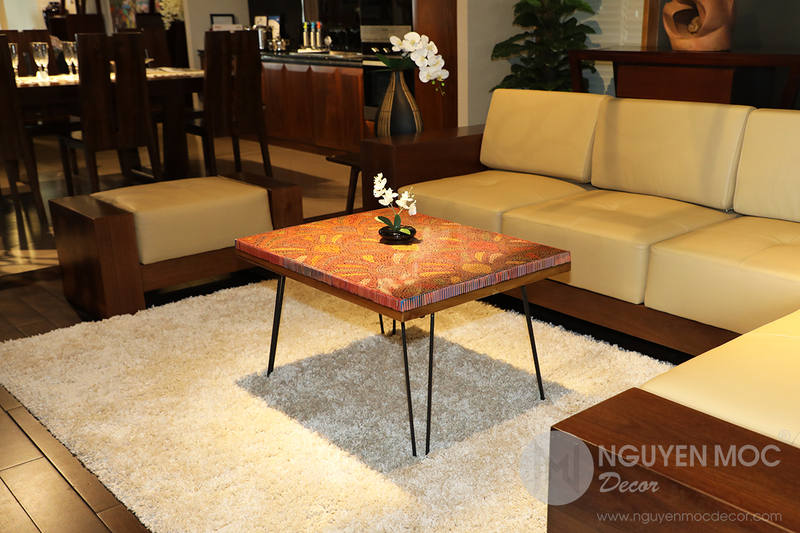 Getting inspiration from the lively buds in the spring, Spring Buds Colored Pencil Coffee Table is one of the most pleased luxurious artistic works of Nguyen Moc Décor. 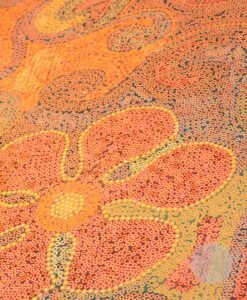 The buds suffered from the chill of the winter in order to accumulate the power and wait for the blooming time, which is like us; we gain the knowledge and skills and stand out with our unique talents at some day. 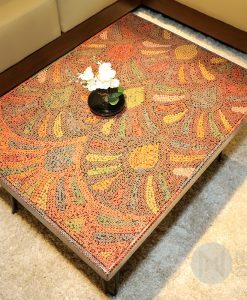 With the elegant colors and the ingenious layout of the spring bud pattern, Spring Buds Colored Pencil Coffee Table is definitely suitable for your warm living space. 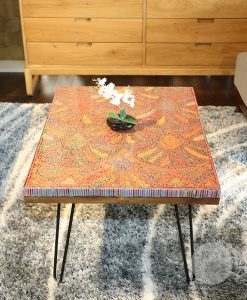 Subtlety, harmony (in colors) and endless inspiration are the most unique values that Spring Buds Colored Pencil Coffee Table brings to the owner! 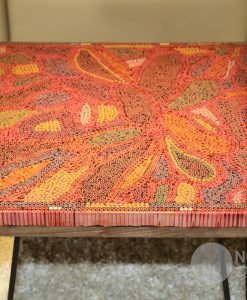 It is such an undeniable attraction for those who are fond of Art Colored-Pencil Tables. 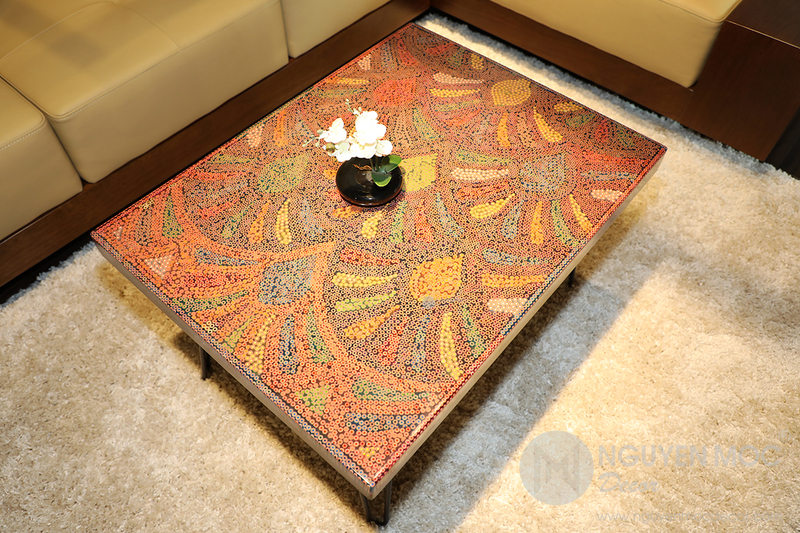 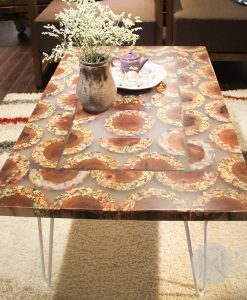 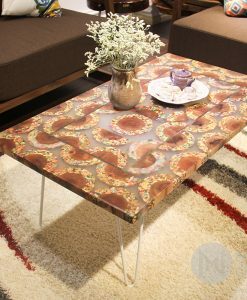 Spring Buds Colored Pencil Coffee Table will be the excellent highlight for your warm home. 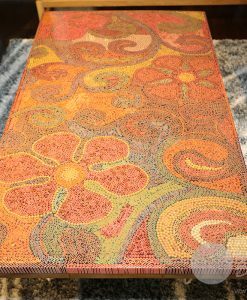 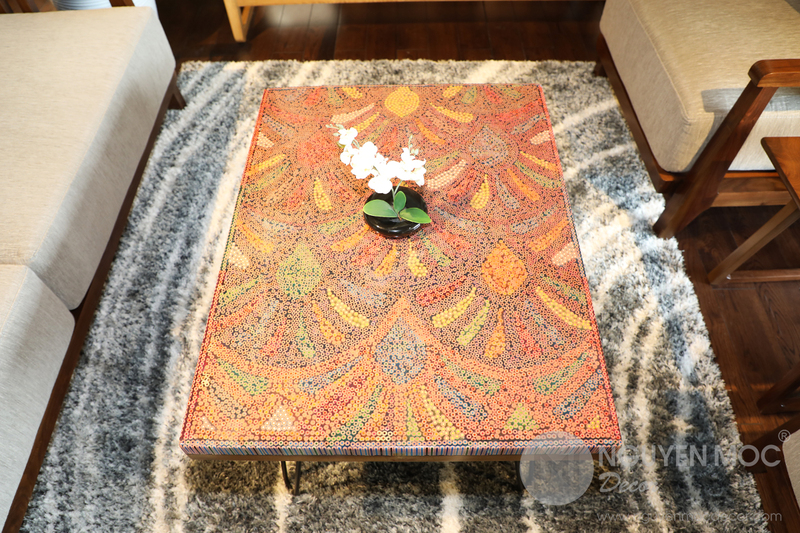 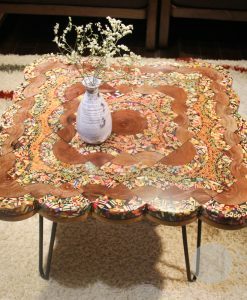 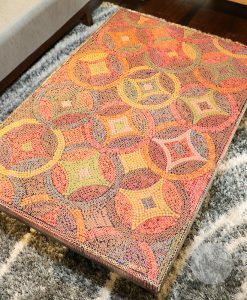 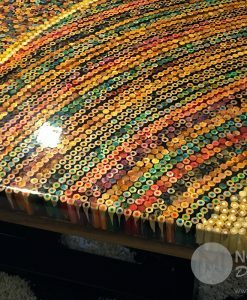 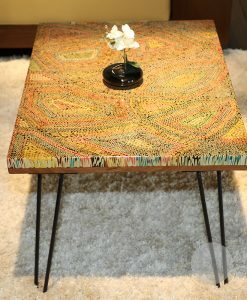 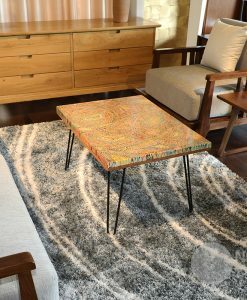 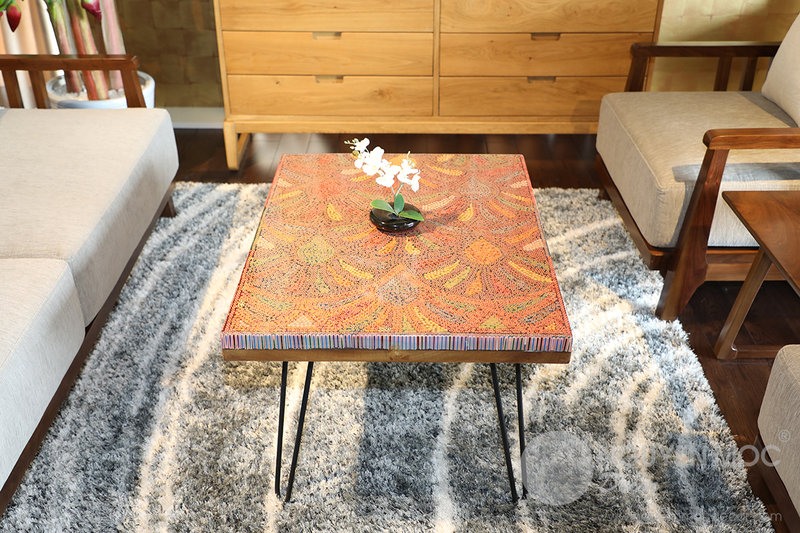 Each piece of colored pencils was arranged and glued at the perfect ratio, creating the symmetrical patterns for Spring Buds Colored Pencil Coffee Table. 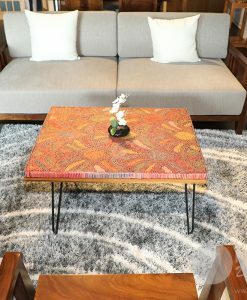 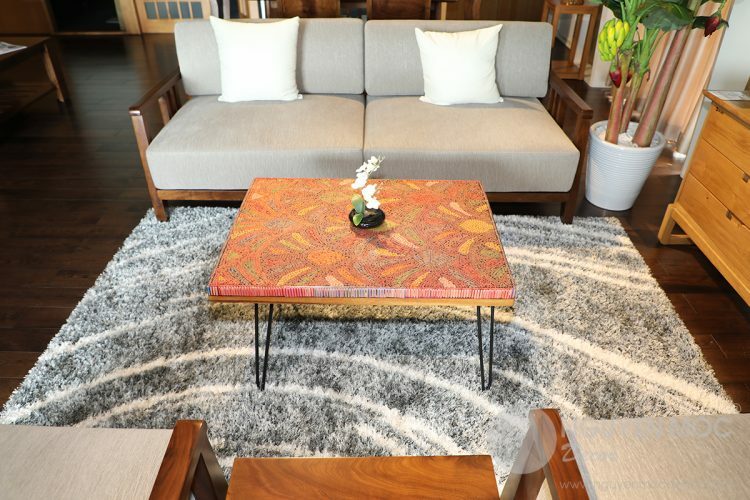 4 firm hairpin legs are easily mounted and removed, enable you to transfer the Spring Buds Colored Pencil Coffee Table easily within your living space. 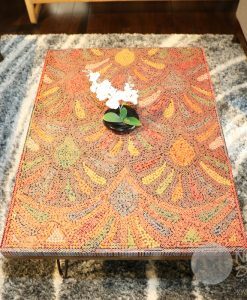 A flowerpot of orchid seems to be an environmentally-friendly decorative accessory for your Spring Buds Colored Pencil Coffee Table. 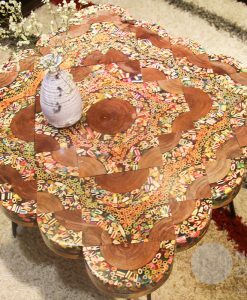 The angles were smoothly sharpened to ensure the safety of the owners, protecting your body from the wood chips.